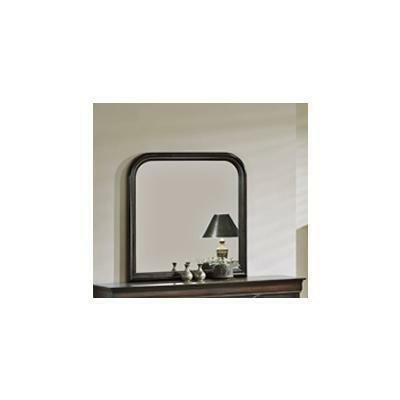 Dresser mirror from the Chateau Brown. 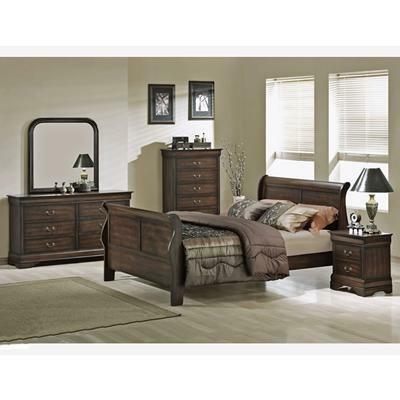 The Potrero Queen Upholstered Headboard is made with brown fabric with vertical channel seaming, brown fabric with square pattern. 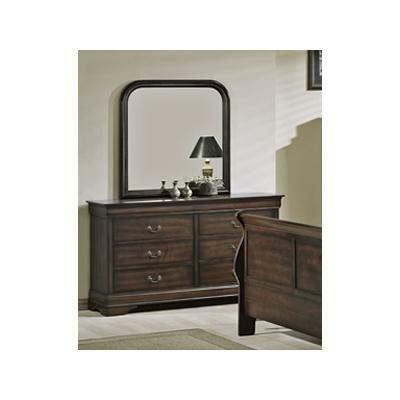 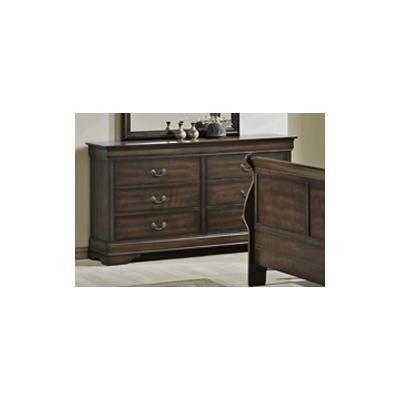 Dresser with 6 drawers from the Chateau Brown collection. 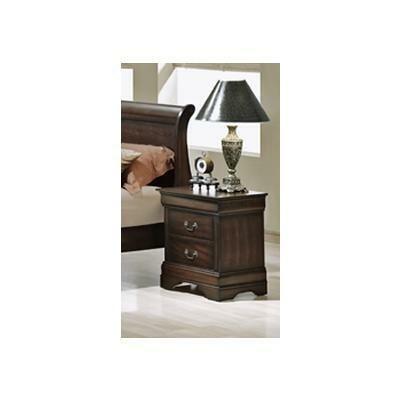 Nightstand with 2 drawers from the Chateau Brown collection. 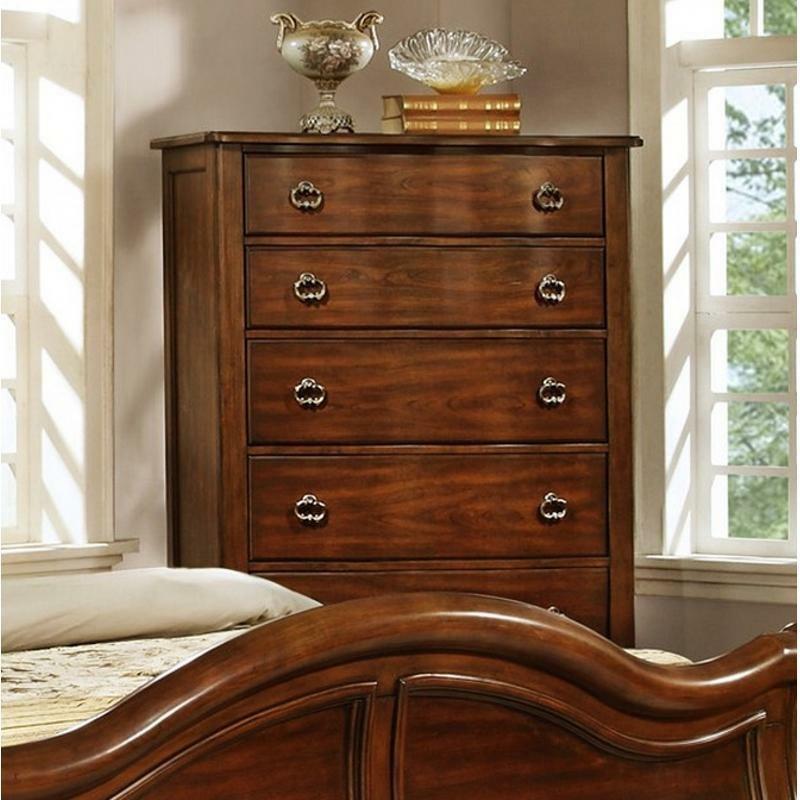 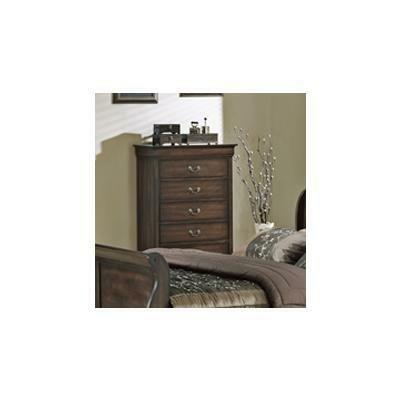 Chest with multiple drawers from the Chateau Brown collection.